Even though Beijing boasts a number of lavish shopping malls, the absence of bookshops in them is often perplexing. There is no doubt that China has as many bibliophiles as other countries. It appears, however, that the concept of bookshops as people know it in the west is interpreted differently with the help of technology and well-priced online book retailers. For those who still swear to the superiority of traditional bookshops, we have found Beijing’s hidden little gems. Zhengyang Shuju was created with the book collection of its owner Cui Yong, whose passion has been to preserve and share “Old Beijing”. This small shop is piled up with a dog-eared collection of Chinese maps and books and it requires a certain amount of investigative spirit to dig up the good stuff of Beijing’s fascinating history records. The owner’s love for books led to the opening of a second Zhengyang Shuju bookstore located in a tranquil courtyard by an ancient pagoda, which also has a small collection of English books. With the motto ‘reading changes you; you change the world’, the Civilian Mobile Library is an unique place where visitors are allowed to pick up a book for free. The idea behind this is that everyone can help themselves to a book, and when they finish with it pass it on to someone else. Tucked away in a little hutong near Yonghegong Lama Temple, the Civilian Mobile Library has a charming location that attracts both locals and foreigners. 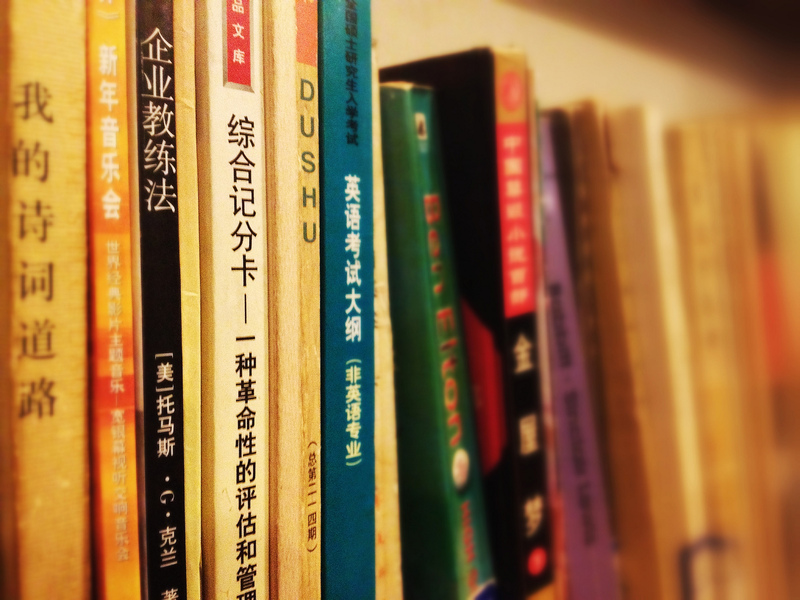 The majority of the books are Chinese with a steadily growing English collection. Sanwei is a combination of an art bookshop/teahouse that became a cultural landmark in Beijing in the 80’s. 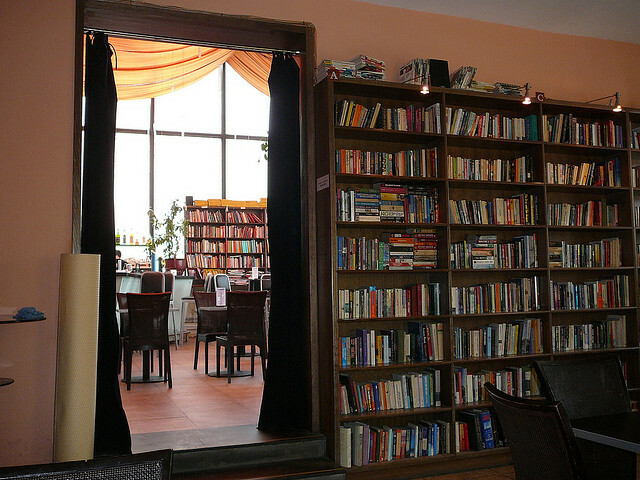 Sanwei invites booklovers to enjoy a cup of tea and do some reading at the serene traditional teahouse upstairs. The teahouse also hosts evening live music performances with Friday’s traditional Chinese music and Saturday’s jazz. The bookshop offers mainly art and literary titles in Chinese, and a few in English. A reservation for the music evenings is highly recommended. Poplar Kid’s Republic is an independent bookshop for children in Beijing. Designed by SAKO, it is a quirky microworld of bright colour and play that fascinates both children and adults alike. Poplar Kid’s Republic was the first bookshop in China to specialize in children’s picture books. The design encourages the children to pick up a book and climb into one of the imaginative “reading cubbies” which basically are holes of different sizes that have been integrated into the bookshelves and lined with colorful fabric. Poplar’s Kid’s Republic Bookshop includes 3,000 illustrated storybooks from Europe, America, Japan and China.